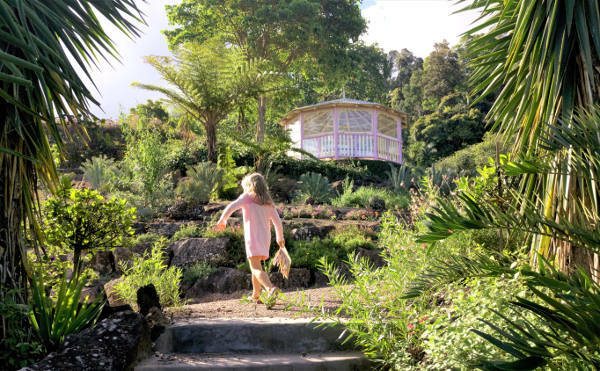 One of our favourite pastimes when we travel is to explore gardens. Usually these are city botanic gardens. Every now and then, however, we find a private garden that you have to pay to enter. These gardens have a different feel. A secret garden atmosphere. This is the impression I get whenever we visit the Maleny Botanic Gardens, up on a hillside in the hinterland of the Sunshine Coast, Queensland Australia. This remarkable private garden is open to the public every day of the year except Christmas. Locals and visitors alike adore them. With incredible views, friendly wildlife and ample spots to picnic, the garden is a tranquil place to soak in the beauty of nature. Running up the path… what’s around the next corner? Ponds and lakes provide peaceful places for contemplation and picnics. 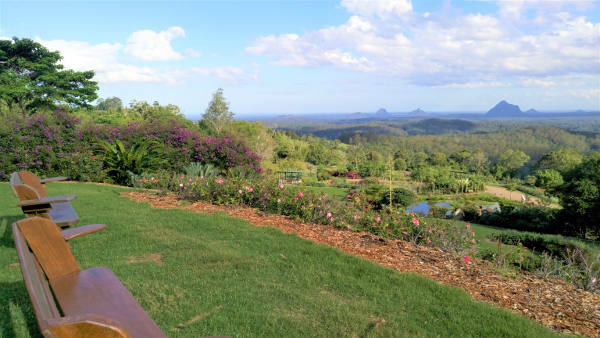 The Maleny Botanic Gardens sprawl across 16 acres. Just think about that next time you complain about mowing your patch of lawn. That is a lot of garden to maintain! 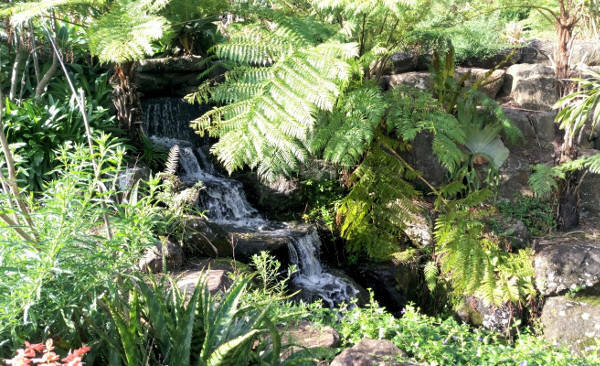 Winding paths lead you around ponds, waterfalls, pockets of rainforest, sculptures, plants of all descriptions, gazebos, flower-covered arches and lawns with picnic tables that take in the stunning view of the Glasshouse Mountains. One of several small waterfalls in the private garden. Children will love running down the hills and discovering what’s around the next corner. If you’re lucky you might spot some Aussie wildlife – lizards, kookaburras, butterflies, snakes, bush turkeys. And I’ll let the kids in on a secret – there is a special house where the fairies live! 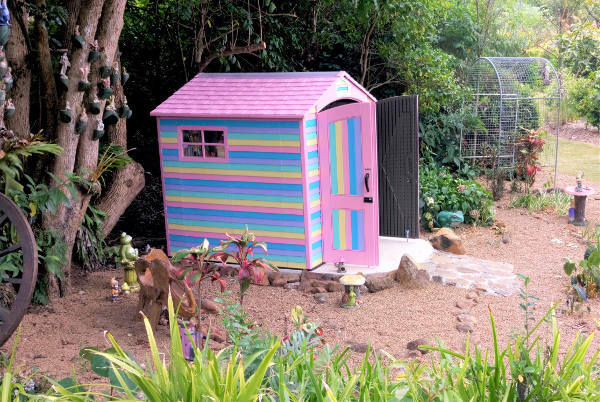 Kids will love peeking inside this colourful fairy house. Mass plantings line the pathways that meander around the garden. 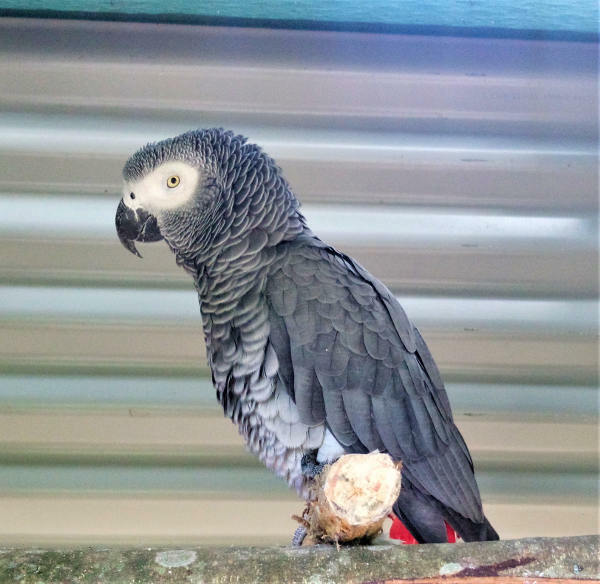 For an extra cost you can take a guided walk through the three large aviaries. They are home to more than 600 birds (!!) 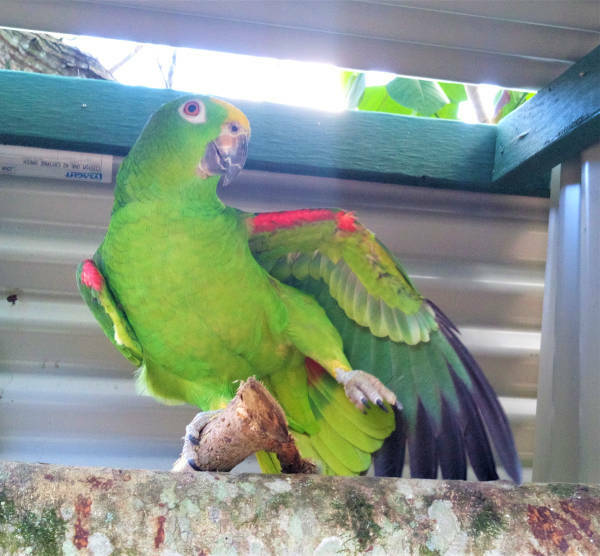 including macaws, finches, lorikeets, cockatoos and parrots of all descriptions. If you choose not to visit, you’ll still get to meet some of the cheeky feathered friends at the garden entrance. If these characters don’t make you smile with their funny antics, nothing will. Cheeky greeters at the garden entrance. All of this flourishing goodness was created by Frank Shipp. Originally from South Africa, Frank and his family moved to Australia in 2003. Frank had always loved plants and his dream was to design a vast garden. 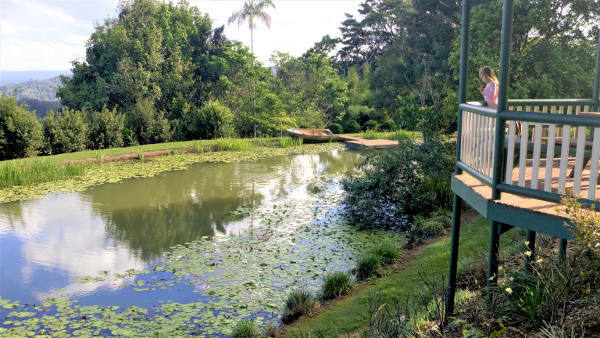 He saw the potential in a rough cattle-grazing property at Maleny and purchased the land. Landscaping began in 2007 and by 2012, his private garden was open full-time for the public to enjoy. Don’t you just love stories like this!? Now that is a seat with a view! 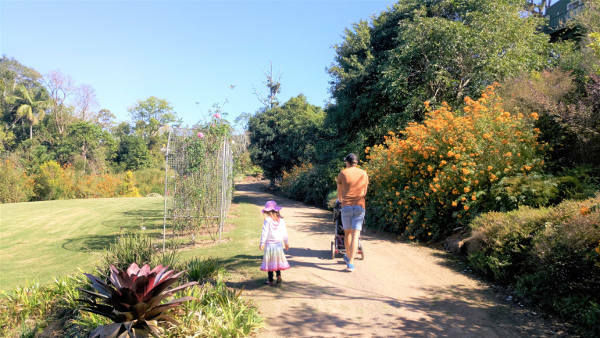 The Maleny Botanic Gardens have different admission passes and packages. Their website has all the details. While you’re up at Maleny, be sure to check out Gardner’s Falls and Mary Cairncross Reserve where you’ll find more pristine subtropical rainforest. Can you recommend any private gardens that are open to the public? We’d love to hear about them!